2016 was a difficult year and 2017 doesn’t stand to get any better, so here’s the bad news—the ghost spiders have flown over to a remote island, evolving into new species scientists were previously unaware of. In order to fly, spiders use a technique called ballooning, turning their silk into a sort of kite that takes them long distances. National Geographic reports that a new study finds that ghost spiders—named for their light complexion—ballooned themselves to the famous Robinson Crusoe Island and have since evolved at a rapid pace. “Everything that lives there comes from somewhere else and evolved in a very short span of time,” said spider researcher Martín Ramírez of the island, which is about 400 miles off the coast the Chile. The animals that visit this strange island—thought to be the inspiration for Robinson Crusoe, the first modern novel—have “the ability to shift habitats and rapidly colonize different environments,” Darko Cotoras, a spider researcher at the California Academy of Sciences, told National Geographic. “They can start doing other things—things they couldn’t do on the continent because there was just too much competition,” Cotoras said. Martín Ramírez’s team has been studying spiders on the island since 2011. In 2012, scientists on the island discovered four new ghost spider species. 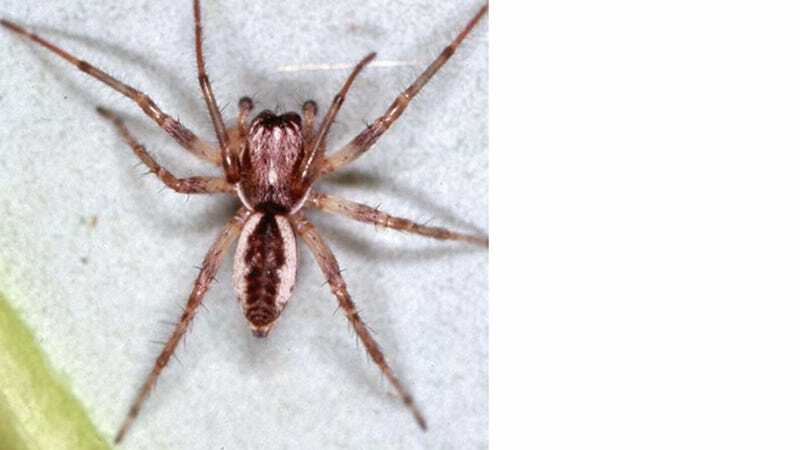 Eduardo Soto, the lead author of the most recent study, explained to Gizmodo that in his team’s most recent paper, they analyzed three of the species they discovered in 2012, and revealed they have since found three additional new species of ghost spider they have yet to name. Fun fact about these new ghost spiders: males have unusually small genitalia. “We don’t know what’s going on, but the genital organs are tiny [and] the animals are very large,” Ramírez told National Geographic. Giant flying ghost spiders who kiss? Sign me up.